Our NEW 2017 ‘Happy Ever After’ calendar, featuring our very own charity rescue ‘tails’, is OUT NOW! 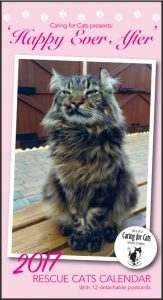 so if you were one of the dozens of entries we received you can see if your puss was one of the lucky 13 chosen as our calendar cuties. 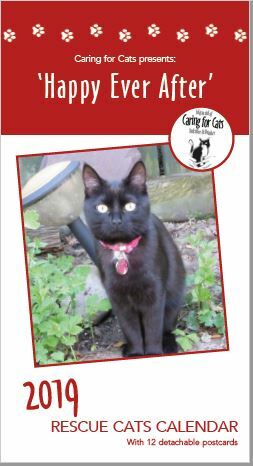 You can buy your calendars online from our website (see Paypal link left & on the homepage) as well as from our homing centre in Market Weighton and shop in Beverley. Telephone orders by credit card can be taken but a minimum quantity of two applies (due to card charges). £1.80 P&P applies for one, then 30p per additional item.